The Dutch Golden Age of painting spawned some of history’s greatest artists and artisans, but few can boast the genius and legacy of Rembrandt Harmenszoon van Rijn (1606–1669). Despite never leaving his native Netherlands, Rembrandt projected his oeuvre past the boundaries of his own experience, producing some of art’s most diverse and impactful works across portraiture, biblical, allegorical, landscape, and genre scenes. In all their forms, Rembrandt’s paintings are built of intricacies—the totality of each subtle facial wrinkle, gaze, or figure amounting to an emotional force that stands unmatched among his contemporaries and artistic progeny alike. Each work is imbued with human feeling. Biblical scenes, like Bathsheba at her Bath, become vehicles for meditations on human longing, probing depths beyond that which is canonized in scripture or depicted in other representations. His portraits, be them of wealthy patrons or tradesmen, communicate the essence of an individual through fine demarcations, their faces bathed in an ethereal light against darkened earthtones. Perhaps most striking, his series of self-portraits are a triumph of the medium; beginning in his youth and spanning until a year prior to his death, Rembrandt’s self portraiture is an intimate glimpse into his lifelong process of self-reflection. 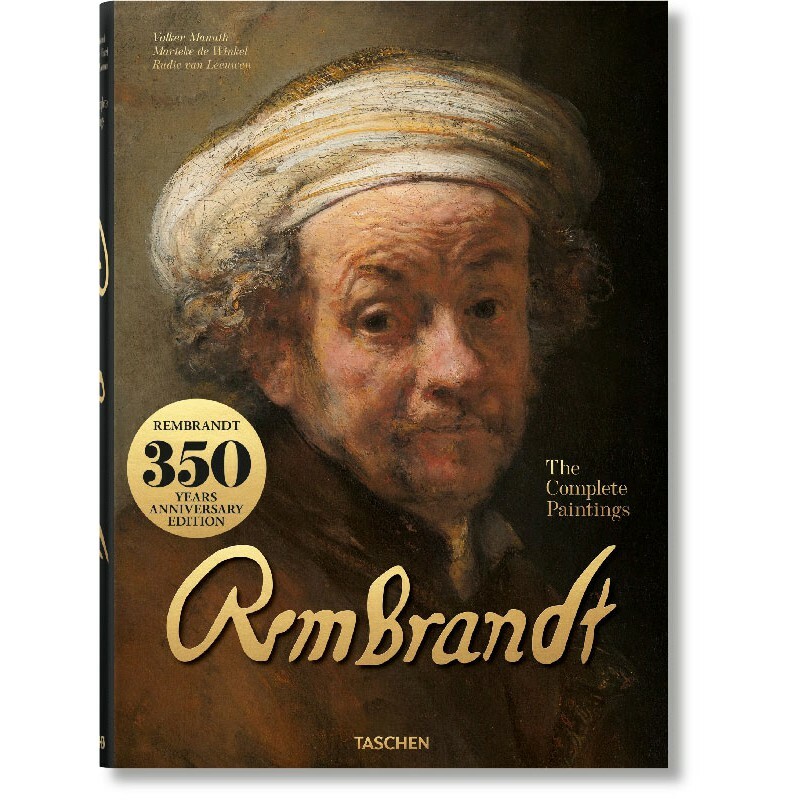 On the occasion of the 350th anniversary of the artist’s death and released in tandem with an exhibition of unprecedented scale at the Rijksmuseum, this XXL monograph compiles all 330 of Rembrandt’s paintings in stunning reproductions. From Belshazzar’s Feast to The Anatomy Lesson of Dr. Nicolaes Tulp, we discover Rembrandt’s painted oeuvre like never before. Volker Manuth studied art history, philosophy and classical archaeology in Kiel, Bonn and Berlin. In 1987 Ph.D. at the Freie Universität Berlin with a thesis on the iconography of Old Testament stories in Rembrandt and his early Amsterdam School. From 1988 to 1995 Research Assistant at the F.U. Berlin. From 1995 to 2003 Professor of Art History (A. Bader Chair of Northern Renaissance and Baroque Art) at Queen’s University, Kingston, Ontario (Canada). Since 2003 Professor of Art History at Radboud University in Nijmegen (Netherlands). Marieke de Winkel studied art history and classical archaeology in Amsterdam (MA 1993) and history of costume at the Courtauld Institute in London (MA 1995). 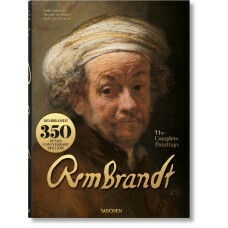 From 1993 to 2003 she was a research assistant with the Rembrandt Research Project. In 2003 Ph.D. at the University of Amsterdam with a thesis on dress in the works of Rembrandt. Rudie van Leeuwen studied art history at Radboud University in Nijmegen (MA 2005). He has recently submitted his doctoral thesis on portrait historié in 16th and 17th-century Dutch painting. Together with V. Manuth he initiated and worked on the Rembrandt Documents Project (RemDoc.org), where he was centrally involved inter alia in the conception and implementation of the integral search function.